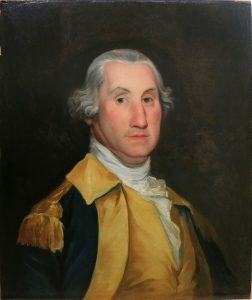 Joseph Wright (American, 1756-1793), Portrait of George Washington [The Garvan-Menzies Portrait], 1783, oil on canvas, 25¾ x 21½ inches. Acquired in 2016 by the Mount Vernon Ladies’ Association, now exhibited at George Washington’s Mount Vernon, Virginia, USA. In a fragmented and complex art market, impartial advice is a vital resource for anyone selling a work of art. It is all too easy for an owner or trustee to assume that sale by auction is effectively the only option for disposals of works of art. In fact over half of art sales take place privately, including those at the very highest reaches of the price scale. Working with us gives a seller access to the whole range of routes for disposal that may be available, including auction, private sales, negotiation with a museum or government to utilise tax concessions, or any combination of these. This lets our clients explore all of these options in order to reap the greatest possible net benefit from a sale. We provide objective valuations and analysis and consider every possible option for sale. We negotiate on our client’s behalf to obtain the best possible terms from auction houses, private buyers and public institutions. We oversee every aspect of a sale, from exhibitions and pricing to post-sale tax negotiations, to maximise the net benefit to our client. The sales we have handled include individual items and major collections, ranging from Old Master paintings to Post War and Contemporary pieces, memorabilia and all categories of decorative works of art.